As a parent, you probably consider protecting your child from harm to be your top priority. There are nevertheless moments where a parent prioritizes other needs or simply assumes that a brief lapse in safety won’t cause harm to their child. If you’ve ever waged a battle against an obstinate toddler who doesn’t want to get in their car seat when you’re already running behind schedule, you may have felt tempted to do whatever it takes to get the door shut and get on the road. 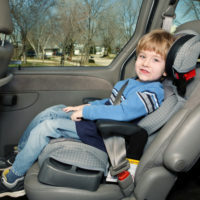 Recently-released research shows, however, that these safety restraints are often critical in protecting the lives of children in car accidents. The newly-released study was published in the Journal of Pediatrics and was produced by physicians at the Boston Brigham & Women’s Hospital. The researchers sought to understand the influence of various factors on accidents resulting in a child fatality, such as the type of vehicle involved, the type of road on which the collision occurred (rural, divided highway, etc), the state in which the crash occurred, and the type of restraint used on the child. The study was conducted using data from over 18,000 fatal crashes involving a child occurring over four years across the US. A child was among the fatalities in 16% of the crashes studied. The researchers learned that, in 20% of all crashes studied, the child involved was either not restrained at all or was not properly restrained. Among the 16% of crashes that resulted in the death of a child, however, the child was not properly restrained 43% of the time. In an additional 13% of accidents where a child was fatally injured, that child was improperly seated in the front seat of the vehicle. In Idaho, children under 6 must be in a child safety device when on the road, and drivers can face a penalty of $79 for violating this law. Studies show that up to 75% of those transporting children are using child restraint devices improperly. Fortunately, Idaho offers free child car seat inspection centers across the state where parents can go to ensure that they know how to properly restrain their child. If an accident does occur, families of children injured in accidents when they were not restrained may still have a claim for much-needed money damages against the driver who was at fault in causing the accident. Speak with an experienced Idaho personal injury lawyer for more information. If you or someone you love has been injured in a crash in Idaho, contact the seasoned, compassionate, and effective Twin Falls personal injury lawyers at Pedersen & Whitehead for a consultation on your case, at 208-734-2552, or in Boise at 208-336-2552.